^ 1.0 1.1 1.2 1.3 1.4 Moving towards higher observing frequencies [向更高的觀測頻率邁進]. Event Horizon Telescope. [2016-10-26]. （原始内容存档于2016-08-13）. ^ 2.0 2.1 2.2 2.3 Mearian, Lucas. Massive telescope array aims for black hole, gets gusher of data [大型望遠鏡陣列鎖定黑洞，收集大量數據]. Computer World. 2015-08-18 [2015-08-21]. （原始内容存档于2017-06-03）. ^ 3.0 3.1 3.2 3.3 Seth Fletcher. Clear Skies, with a Chance of Black Holes. Scientific American. 2017-04-11 [2017-06-13]. （原始内容存档于2017-05-19）. ^ 4.0 4.1 Daniel Clery. 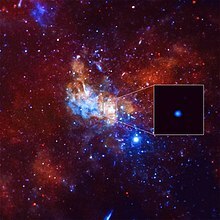 Worldwide Telescope Aims to Look Into Milky Way Galaxy’s Black Heart. Science. 2012-01-27 [2017-03-23]. （原始内容存档于2017-03-23）. ^ 5.0 5.1 5.2 5.3 5.4 5.5 5.6 5.7 5.8 5.9 Avery E. Broderick; Abraham Loeb. 李沃龍譯. 黑洞剪影. 科學人 (遠流). 2010-01, (95) [2017-05-31]. ISSN 1682-2811. （原始内容存档于2017-05-30） （中文（台灣）‎）. ^ 人类史上首次！世界首张黑洞照片将于4月10日公布. 百度百家号. 2019-04-05 [2019-04-13]. ^ Dennis Overbye. Black Hole Picture Revealed for the First Time. 纽约时报. 2019-04-10 [2019-04-10]. ^ 9.0 9.1 9.2 9.3 9.4 9.5 9.6 9.7 9.8 9.9 Jonathan Amos. 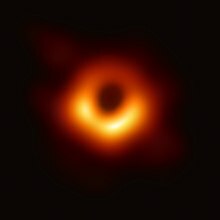 Event Horizon Telescope ready to image black hole. BBC. 2017-02-16 [2017-05-31]. （原始内容存档于2017-05-03）. ^ 11.0 11.1 天文學家首度探測到巨大黑洞噴流之源頭 (PDF). 中央研究院天文及天文物理研究所. 2012-10-12 [2017-05-31]. （原始内容存档 (PDF)于2017-05-31） （中文（台灣）‎）. 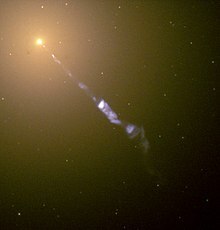 ^ 12.0 12.1 12.2 Event Horizon Telescope - Science [事件視界望遠鏡 - 科學]. Event Horizon Telescope. 2015-07-24 [2017-01-16]. （原始内容存档于2017-01-16）. ^ 13.0 13.1 NSF. Planet-sized 'virtual telescope' expands to the South Pole to observe black holes in detail. NSF Press Release. 2015-04-21 [2017-03-20]. （原始内容存档于2016-07-31）. ^ 14.0 14.1 14.2 Dimitrios Psaltis; Sheperd S. Doeleman. 李沃龍譯. 黑洞大考驗. 科學人 (遠流). 2015-10, (164). ISSN 1682-2811 （中文（台灣）‎）. ^ 15.0 15.1 15.2 吳靖雯. 臺灣主導格陵蘭望遠鏡計畫 可望今年啓動觀測黑洞. 國家地理雜誌中文網. 2017-01-25 [2017-06-01]. （原始内容存档于2017-02-15） （中文（台灣）‎）. ^ 16.0 16.1 16.2 16.3 16.4 Vincent L. Fish; Kazunori Akiyama; Katherine L. Bouman; 等. Observing—and Imaging—Active Galactic Nuclei with the Event Horizon Telescope. Galaxies. 2016-07-11. arXiv:1607.03034v1. ^ 17.0 17.1 電波望遠鏡如何聯手工？. 中研院天聞網. [2017-06-11]. （原始内容存档于2017-06-11） （中文（台灣）‎）. ^ 18.0 18.1 18.2 18.3 18.4 18.5 Ron Cowen. 天文學家可能終於得到第一張黑洞影像！. 由胡佳玲翻譯. 國家地理雜誌中文網. 2017-05-17 [2017-06-01]. （原始内容存档于2017-06-01） （中文（台灣）‎）. ^ 19.0 19.1 19.2 19.3 19.4 19.5 Daniel Clery. This global telescope may finally see the event horizon of our galaxy's giant black hole. Science. 2017-03-02 [2017-05-31]. （原始内容存档于2017-03-12）. ^ Brian Vastag. To spy a black hole, astronomers will build a virtual globe-spanning telescope. The Washington Post. 2012-01-23 [2017-03-20]. （原始内容存档于2017-03-20）. ^ 21.0 21.1 Bringing Black Holes into Focus: The Event Horizon Telescope. EHT. [2017-06-16]. （原始内容存档于2017-06-16）. ^ NSF. Statement from NSF director on Event Horizon Telescope. National Science Foundation. 2017-04-05 [2017-05-31]. （原始内容存档于2017-05-31）. ^ Event Horizon Telescope [事件視界望遠鏡]. MIT Haystack observatory. [2016-10-26]. （原始内容存档于2016-09-01）. ^ Dennis Overbye（英语：Dennis Overbye）. Black Hole Hunters [黑洞獵人]. New York Times. 2015-06-08 [2017-06-13]. （原始内容存档于2016-01-01）. ^ EHT WIKI. PI. [2017-06-14]. （原始内容存档于2017-06-14）. ^ ALMA Upgrade to Supercharge Event Horizon Telescope, Astronomy’s "Killer App". NRAO Press Release. 2014-06-04 [2017-03-20]. （原始内容存档于2017-02-07）. ^ ALMA Gains New Capability in First Successful VLBI Observation. NRAO. 2015-03-05 [2017-06-11]. （原始内容存档于2017-06-11）. ^ ALMA and the Event Horizon Telescope: Tip Sheet. National Radio Astronomy Observatory. 2017-03-30 [2017-05-31]. （原始内容存档于2017-05-23）. ^ Webb, Jonathan. Event horizon snapshot due in 2017 [預計於2017年攝得事件視界的影像]. BBC News. 2016-01-08 [2016-03-24]. （原始内容存档于2016-09-01）. ^ Detection of event-horizon-scale structure in Sgr A*. Event Horizon Telescope. [2017-01-16]. （原始内容存档于2017-01-16）. ^ 31.0 31.1 31.2 Lauren Huang（黃珞文）. 什麼是「全球毫米波特長基線陣列」和「事件視界望遠鏡」？. 中研院天聞網. 2017-04-05 [2017-05-31]. （原始内容存档于2017-05-31） （中文（台灣）‎）. ^ 32.0 32.1 32.2 32.3 32.4 Lauren Huang（黃珞文）. 全球大陣列 , 希望拍到銀河系中心黑洞第一張影像. 中研院天聞網. 2017-04-05 [2017-05-31]. （原始内容存档于2017-05-31） （中文（台灣）‎）. ^ Shep Doeleman; Chris Beaudoin; Michael Titus; 等. The Event Horizon Telescope: New Results and Future Plans (PDF). EHT Collaboration. 2011-11-22 [2017-06-14]. （原始内容存档 (PDF)于2017-06-14）. ^ Arne Grenzebach. The Shadow of Black Holes: An Analytic Description. Springer. 2016 [2017-06-14]. ISBN 9783319300665. ^ Sheperd S. Doeleman; Jonathan Weintroub; Alan E. E. Rogers; 等. Event-horizon-scale structure in the supermassive black hole candidate at the Galactic Centre (PDF). Nature (Macmillan Publishers). 2008, (455) [2017-06-14]. doi:10.1038/nature07245. ^ 黃珞文; 卜宏毅. 本所格陵蘭望遠鏡團隊淺田圭一助研究員、Geoffrey Bower資深天文學家、賀曾樸院士、井上允特聘研究員參與「事件視界望遠鏡」 計畫，觀測到銀河系中心黑洞磁場結構. 中研院天聞網. 2015-12-04 [2017-05-31]. （原始内容存档于2017-05-31） （中文（台灣）‎）. ^ Array/Telescopes - EHT. EHT. 2017-03-17 [2017-06-11]. （原始内容存档于2017-06-10）. ^ EHT 2014. PI. [2017-06-14]. （原始内容存档于2017-06-14）. ^ EHT Collaboration Meeting 2016. CfA. [2017-05-31]. （原始内容存档于2017-05-31）. ^ Event Horizon Telescope - Collaborators [事件視界望遠鏡 - 貢獻者]. Event Horizon Telescope. 2017-03-17 [2017-06-10]. （原始内容存档于2017-06-10）. Taking the First Picture of a Black Hole. ESO網站的EHT原理介紹. Clear Skies, with a Chance of Black Holes. 2017年4月的觀測情形. Observing—and Imaging—Active Galactic Nuclei with the Event Horizon Telescope. 2016年關於EHT成像技術的論文. Dark Star Diaries. 科學人. Seth Fletcher關於黑洞的部落格. Video: Peering Into a Black Hole. 紐約時報. 關於計畫的簡介影片. EHT Collaboration Meeting 2016. 2016年EHT會議.